I have more Sale-A-Bration swaps to share with you today. 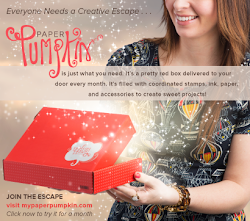 This first one was created by my upline Winona Semler - isn't it cute?! This set didn't jump out at me initially but I love what Winona did with it and the more samples I see, the more it is growing on me. This next swap was created by Kathy House. 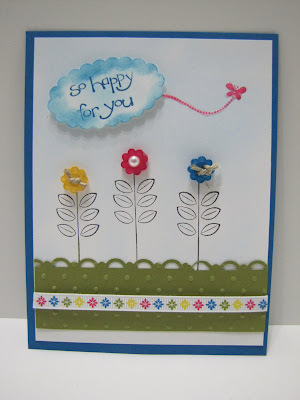 Not only did she use the Sweet Summer stamp set but she also incorporated the So Happy for You set and the ribbon & button pack - all of which you can get for FREE during Sale-a-Bration. 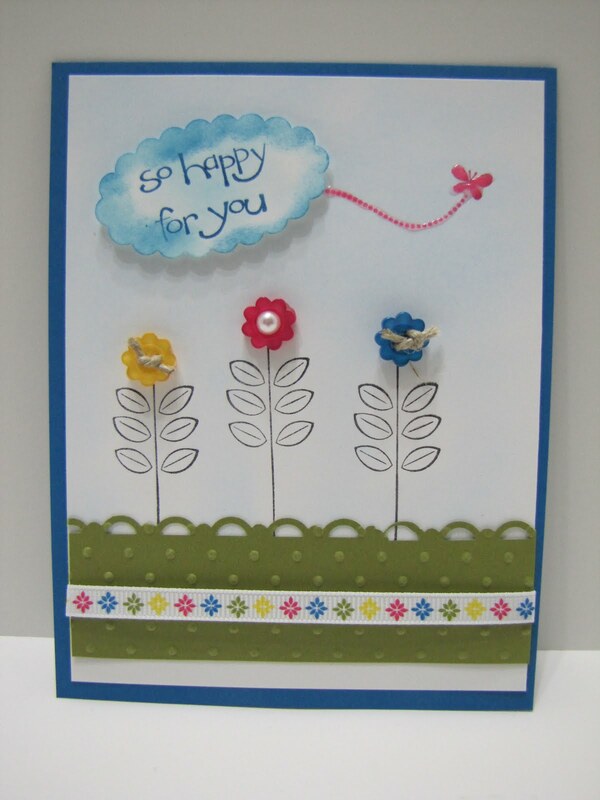 I love how she used the buttons for flowers - super cute! Order online here to get your FREE Sweet Summer stamp set! 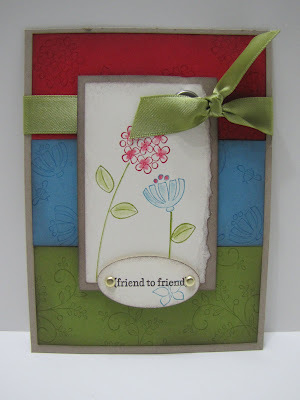 these cards are just lovely!!!! i had fun casing one of your card for considered it Cased this week.